The waters of the East Branch of the Rock River at the Theresa Marsh are a bit above flood stage. This M348 train is southbound on a 40 degree (F) afternoon. 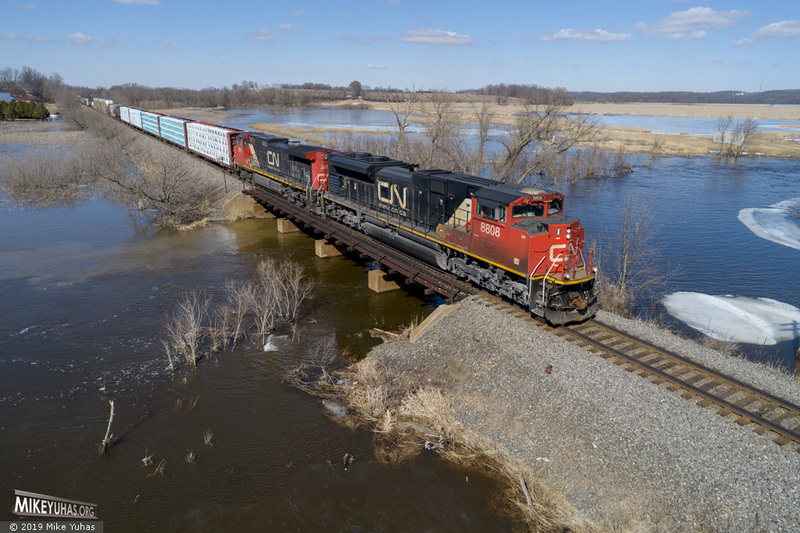 M34841-15: CN SD70M-2 8808, CN C44-9W 2670; 48 loads, 48 empties; 8,368 tons, 7,520 feet.